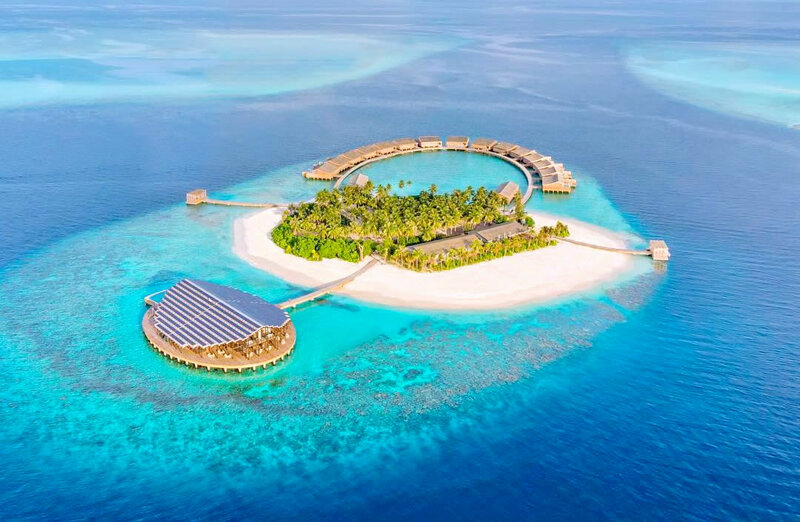 A popular destination, the Maldives is looking forward an abundance of new hotels are set to open throughout 2018 and into early 2019, expanding its portfolio of luxury beach resorts. 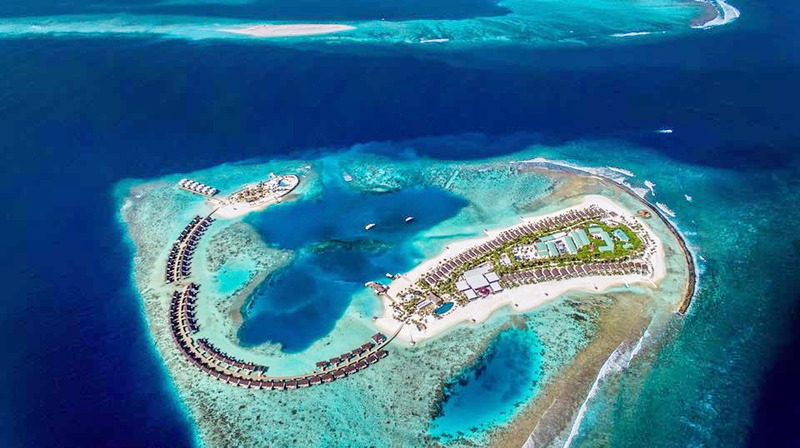 To meet the growing demand of visitors, following a government strategy to dramatically increase the number of hotel rooms in the Maldives, the president promised to open 50 new resorts in a five-year period, creating 18,000 new workplaces. 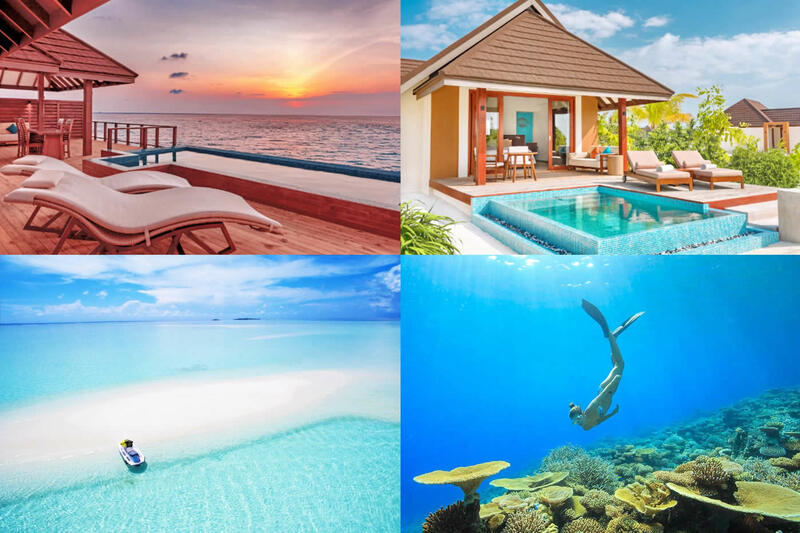 Since 2013, opened 20 new resorts and after the opening of Kandima Maldives, Finolhu, Fushifaru Maldives, Reethi Faru and Mercure Maldives Kooddoo Resort at the end of 2017, the opening of the 2018 and 2019 season is hotly expected, including Mӧvenpick Resort & Spa Kuredhivaru Maldives, Emerald Maldives Resort & Spa, Carpe Diem Beach Resort & Spa, Italian Baglioni Resort Maldives, ultra-luxurious Waldorf Astoria Maldives, LUX * North Malé Atoll and 4-star OBLU SELECT at Sangeli. A new hotel in the Maldives is always the best, innovative, fresh and most important is an affordable rates, deals and special offers. Do not miss this chance! Below is a list of new hotels from the end of 2017 - early 2019. The newest properties are being added to our list regularly, so watch for updates. With the unique All Inclusive Serenity Plan, OBLU Select by Atmosphere at Sangeli Island is the newest luxury ALL INCLUSIVE resort in the Maldives. 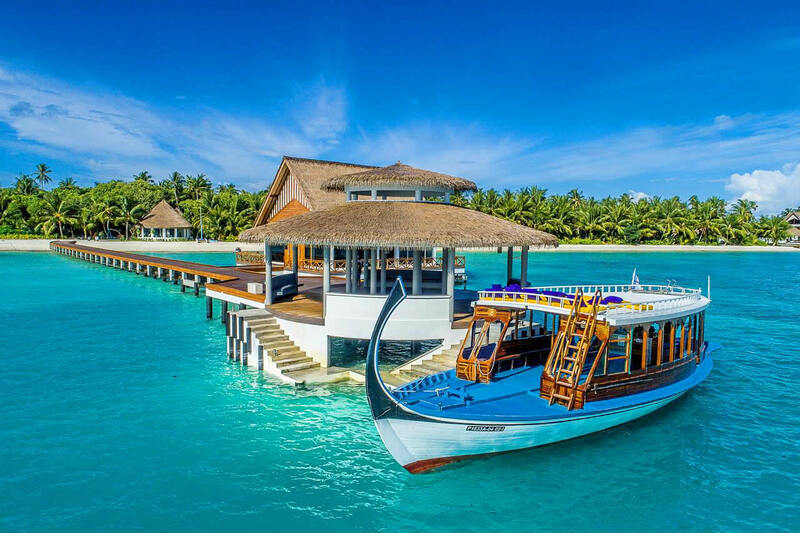 Located just 50-minutes by speedboat from Malé Airport this idyllic tropical paradise is perfectly suitable for couples and families, promising a beautiful island chic and it's a delightful addition to Maldives' deluxe resort segment. A completely hassle-free experience with their signature SERENITY Plan™ and range of standalone Beach & Water Villas, restaurants and luxury facilities spread out over the two islands, OBLU SELECT at Sangeli offers discerning travelers a comprehensive, carefree beach experience in the Maldives. 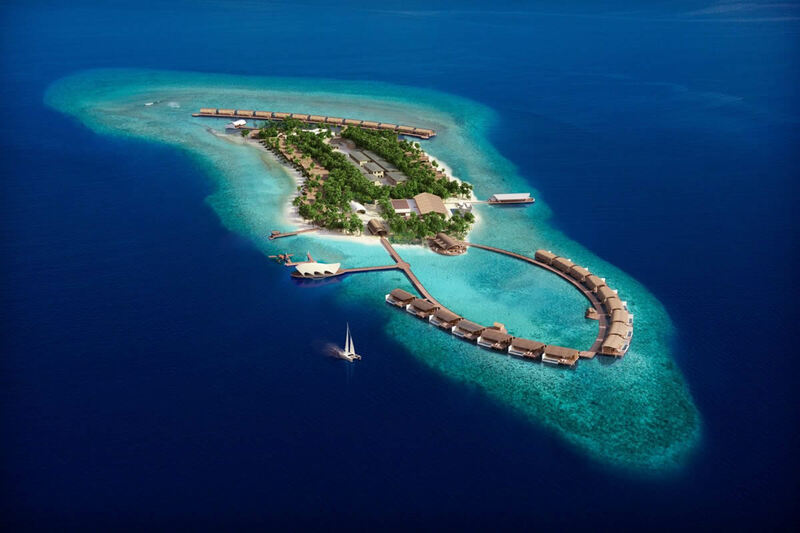 Accor announced today that it will manage a 120-villa Pullman Maldives Maamutaa Resort located on a one – resort island which is slated to open in late 2018. It will be located 10 minutes away by speedboat from the new Kooddoo Airport. 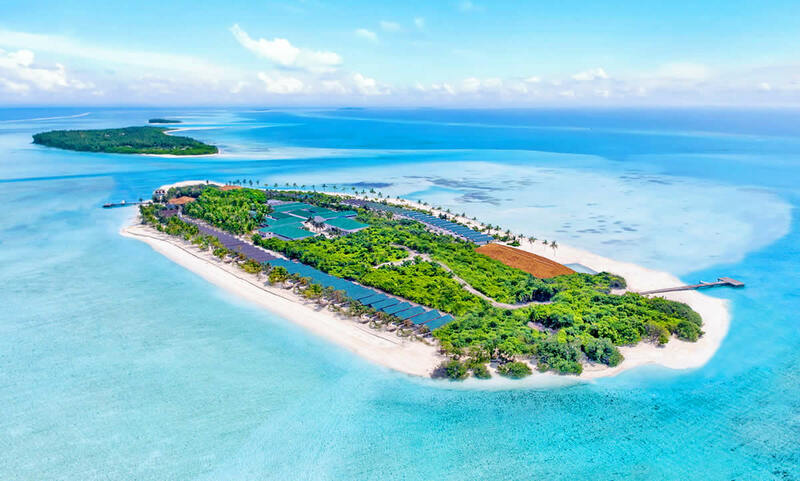 When the resort opens, you would be able to enjoy five-star service and facilities in one of the 80 spacious bungalows set over water or the 40 dotted around the pristine beach. Other facilities include two swimming pools, a lounge, an all-day dining restaurant, a specialty restaurant, a sunset bar perched over the lagoon, spa and fitness centre, organic gardens, tennis court, kids club, beach play ground, a dive centre and watersports centre. 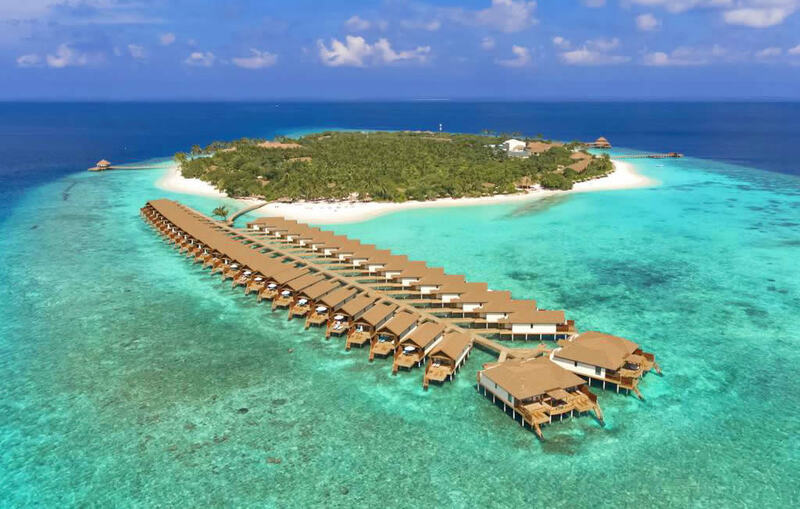 Marriott International is set to launch its Westin brand in Maldives with the opening of The Westin Maldives Miriandhoo Resort in 2019. 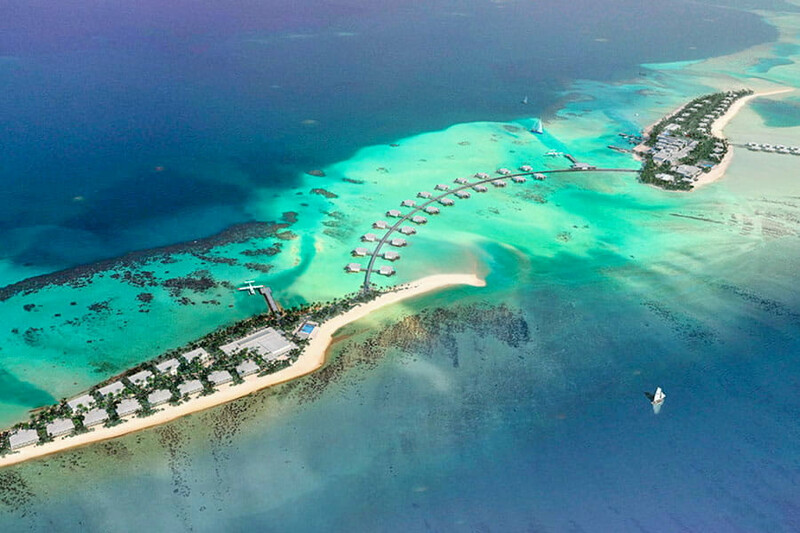 Centara Grand Muthaafushi Resort & Spa Maldives would be the fourth beach resort managed by Centara Hotels and Resorts – one of the leading Thai hospitality groups. The new resort is expected to see its soft opening late 2018, and the grand opening early 2019. 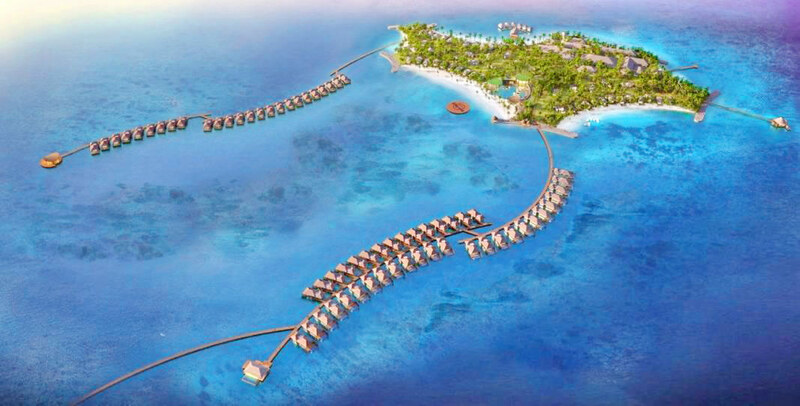 Under the agreement, Centara Hotels and Resorts would operate and manage the new property, comprising of 24 beach villas, 77 water villas, an array of international restaurants including an underwater restaurant, a floating cinema, a dedicated Thai spa, a fitness centre, and other facilities expected in a Centara Grand resort. 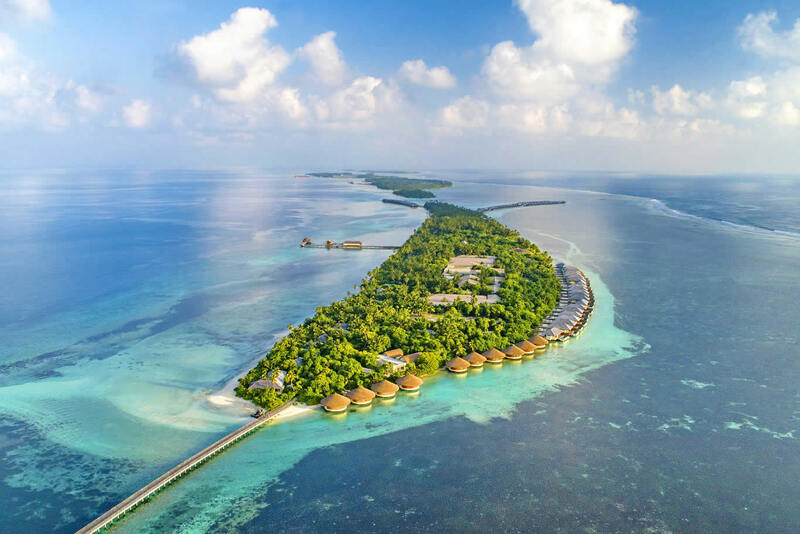 Waldorf Astoria Hotels and Resorts—Hilton’s luxury brand—is set to return to the Maldives in 2019 with the Waldorf Astoria Maldives Ithaafushi. 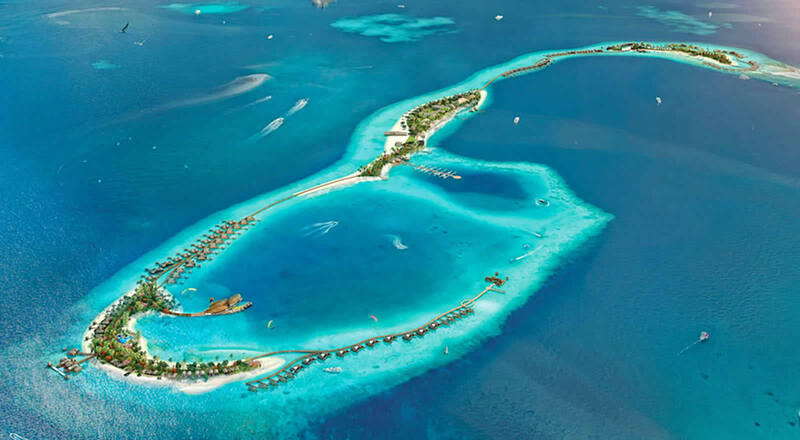 Located on South Malé Atoll, the resort will occupy three islands. It will be reachable via a 20-minute speedboat ride from the capital’s Velana International Airport. The resort will offer 138 guest villas, ranging from one, two and three-bedroom villas and four-bedroom presidential suite, carefully positioned and orientated to guarantee guest exclusivity and privacy and unsurpassed views over the ocean. Each villa will be equipped with private outdoor pool, Jacuzzi and lounge deck area, with usual five-star amenities. The resort will feature a wide variety of F&B outlets; the elevated Tree house for a dining experience of “Terra”, to the “Rock” cave like private dining and wine cellar below, to the modern Arabic cuisine of Mahal, and the contemporary Chinese menu of “Chinoise”. The laid back atmosphere of “Amber”, the resort’s beach champagne bar is where guests can relax on the beach and enjoy cocktails while watching the sun set over the horizon. 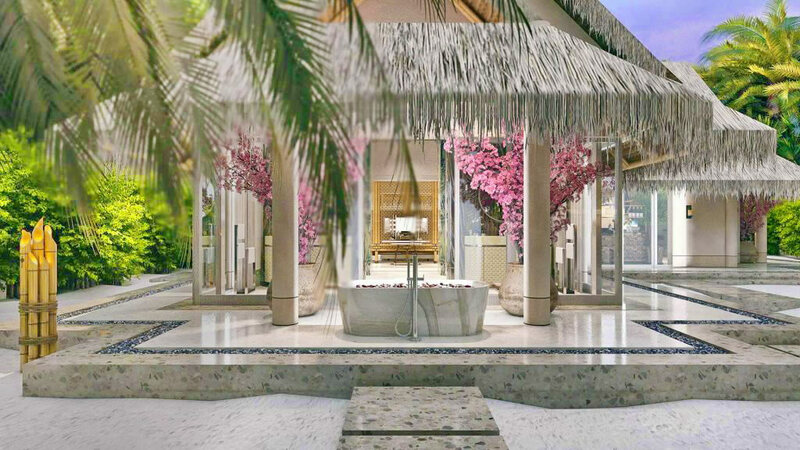 It will also offer a 2,000-square-meter spa that will include a gym, an outdoor fitness centre, aqua spinning classes and an overwater yoga platform. 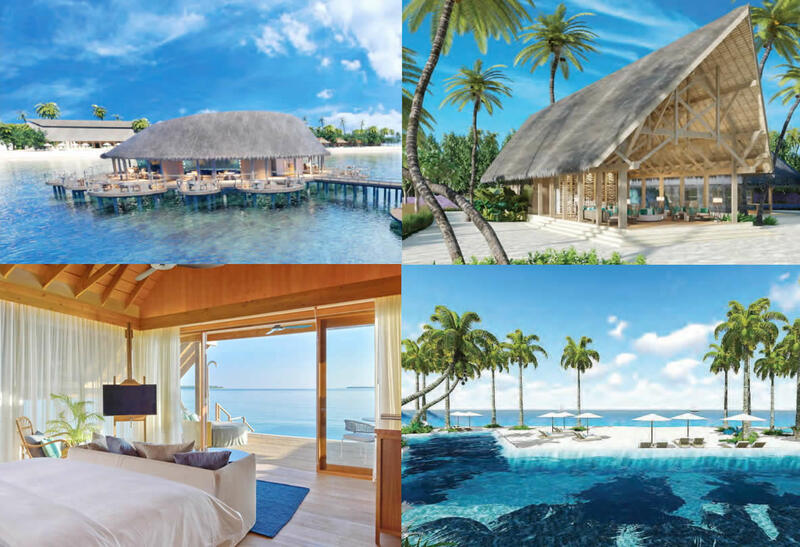 JW Marriott Maldives Resort & Spa will be opening on Vagaru island, Shaviyani Atoll, in January 2019. 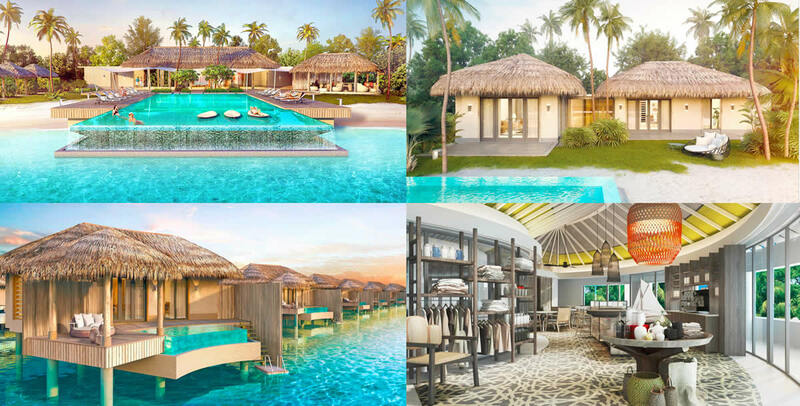 The 61-villa property will be headed up by renowned general manager Marc Gussing and will bring fierce competition to the Maldives with highlights including a private pool with every villa, a treetop restaurant, an and expansive wine cellar. 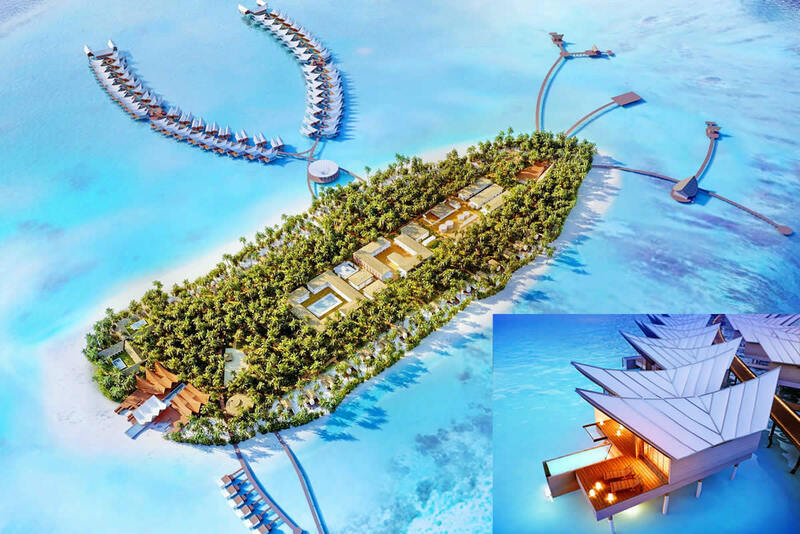 The hotel will be a scenic 55-minute seaplane flight from Velana International Airport, Male. Guests will have a choice between five villa categories ranging from 234sqm to 638sqm, all of which come with private pools and spacious wooden decks. 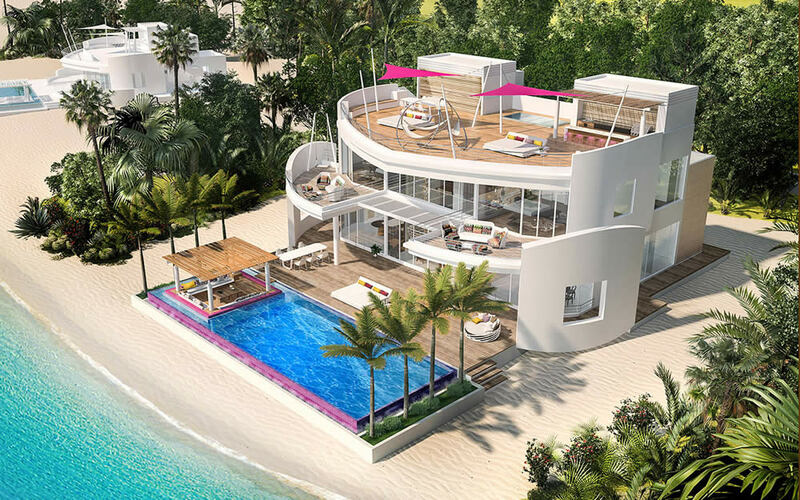 There will be 29 secluded one- and two-bedroom beach villas nestled amongst the island’s lush greenery, each with its own private beach area. The hotel will have five F&B outlets, three full service bars, an interactive wine room, in-villa and destination dining options, and a cigar and shisha venue. The offerings include Furamas, Japanese Teppanyaki cusine; Lonu, the resort’s grill room fine-dining experience; Rum Bar & Kitchen, which will serve meals tapas-style; Raha, Italian cuisine, and Kaage, its all-day dining venue. Sheduled to open in late 2018, the Raffles Maldives Meradhoo Resort will be a first for the renowned Raffles brand in the region. 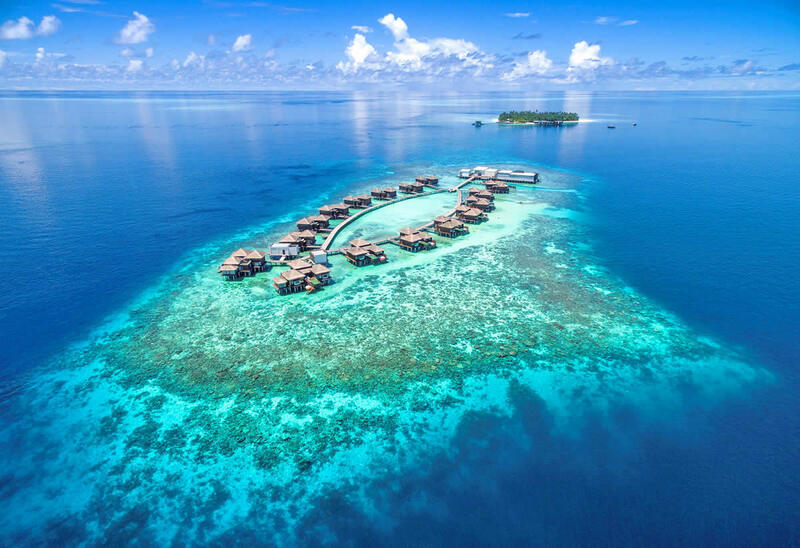 AccorHotels took over management of the property, previously known as the Jumeirah Dhevanafushi, in September 2017 with plans to reposition it as a Raffles resort after a top-to-bottom renovation. Access to Raffles Maldives Meradhoo Resort is via a 55-minute flight from Male International Airport, then a 15-minute speedboat transfer. 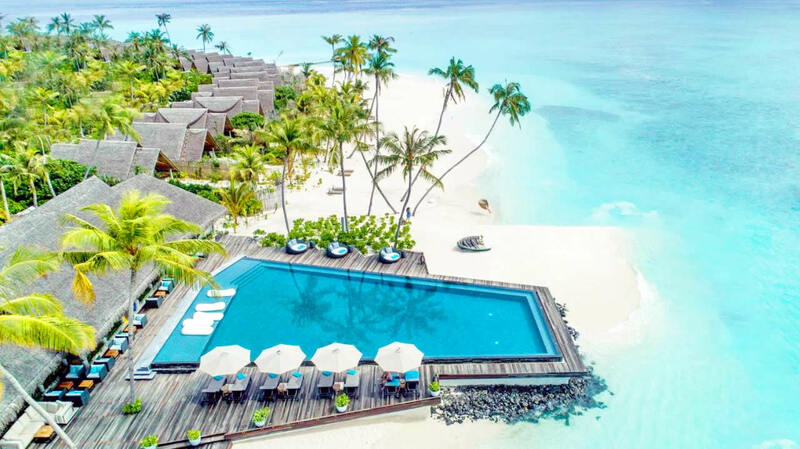 Located in the southern end of the Maldives—a jetsetter’s paradise composed of more than 1,000 islands in 26 atolls in the middle of the Indian Ocean—the Raffles Maldives Meradhoo will have 21 island villas and 16 ocean villas with private pools. Expect 24-hour butlers on call and private chef service. 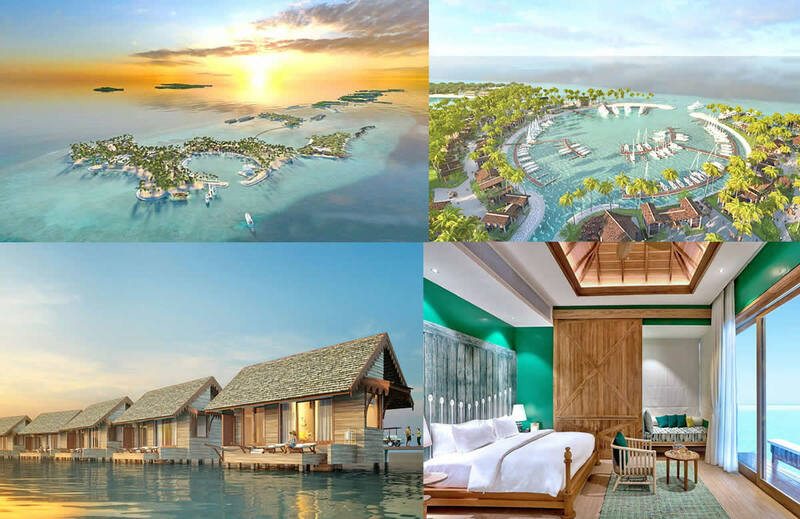 Facilities will include an overwater spa, fitness center, three restaurants and a cocktail bar overlooking the crystal-clear waters surrounding the resort. From the PADI-certified diving center, guests can partake in snorkeling and scuba diving adventures, exploring the coral reefs for which the Maldives are known. There will also be a yoga program and numerous water sports options. Atmosphere Hotels & Resorts has unveiled its latest property — the five-star VARU by Atmosphere, set to open in October 2019. ‘Varu’ is a term in local Dhivehi language meaning strength, resilience and life in abundance, and the resort will offer a truly Maldivian experience by incorporating aspects of local traditions and cultures. Located in the north-west edge of Male atoll and easily accessible by a 40-minute speedboat journey from the main Velana International Airport, VARU by Atmosphere will feature 108 luxurious villas. 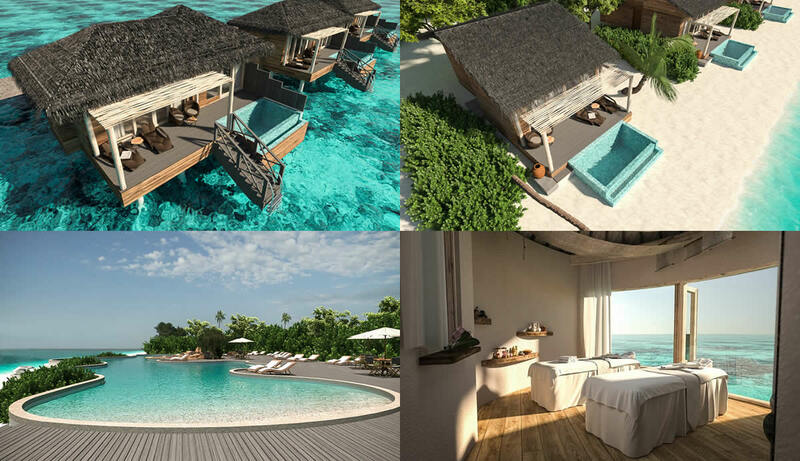 Thirty-nine Beach Front Villas will have spacious interiors and outdoor decks, surrounded by lush green vegetation and just a few metres from the white sandy beach, while 69 Overwater Villas will have signature Maldivian-style interiors and direct access to the turquoise lagoon from the deck. Both villa types offer minimalistic design styles with splashes of vibrant colours, and come with the option of private pools. Additional resort facilities include a dive and water sports centre, ELENA spa, gymnasium and kids club.